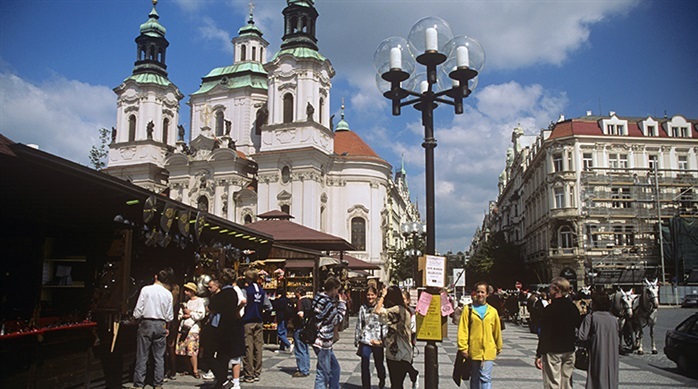 Prague, Czech Republic has been called the Paris of Eastern Europe and is the fifth most visited European city after London, Paris, Istanbul and Rome. It was founded 1100 years ago on the banks of the Vltava River which is spanned by many bridges. 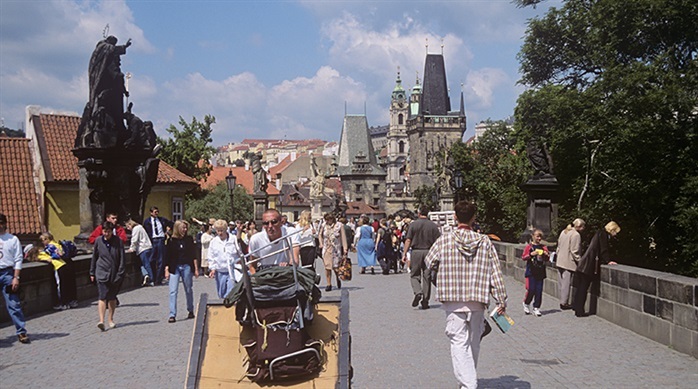 The most famous is the Charles Bridge, begun in the latter half of the 14h century and joins two historic quarters: Stare Mesto and Mala Strana. 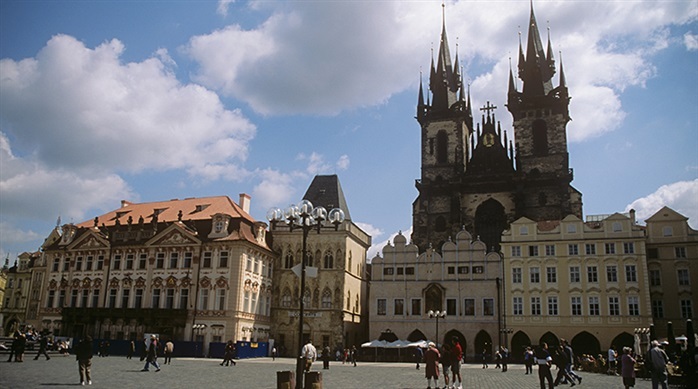 Prague is also a city of churches. The Gothic façade of the Church of Our Lady of Tyn was completed in the second half of the fifteenth century. A beautiful example of Baroque Bohemian architecture is the Church of St. Nicholas in Mala Strana. It is a powerful experience to walk through the Old Jewish Cemetery, dating back to the 15th century. 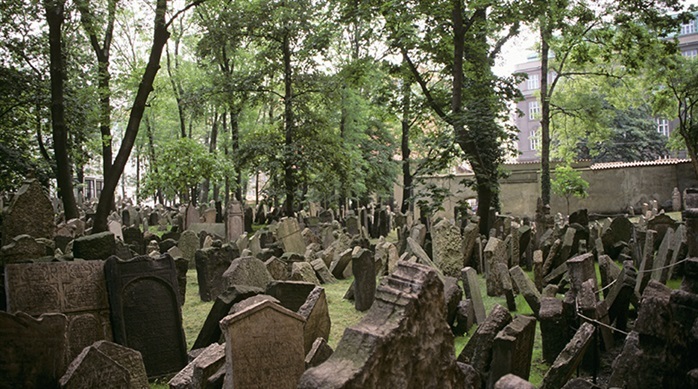 Because of government restrictions at the time, Jews couldn't be buried anywhere else so graves were dug deep enough that 12 people could be buried vertically with each headstone put in front of the last. 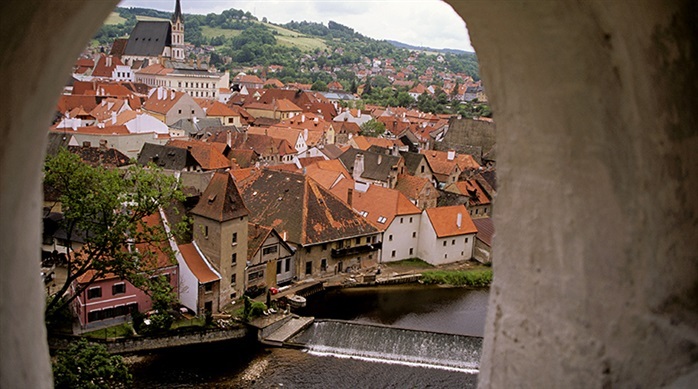 A little over 100 miles from Prague is the picturesque medieval town of Cesky Krumlov, also situated on the Vltava River. 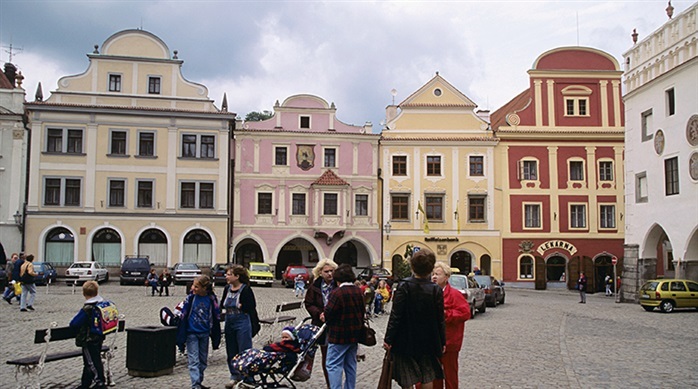 Colorful buildings frame the Old Square where locals gather.